In its total lawlessness, the regime had left no right unviolated be it bluntly or systematically. It is because of this that in terms of what rights it limits or what new power it confers on the executive, this declaration is inconsequential. There is nothing it changes on the ground. The resistance was happening while a full military rule organized by a Command Post chaired by the Commander-in-Chief himself was already in place. In the name of taking a “merciless and definitive” measure on protestors, the army and its Agazi Regiment, the Regional Special Forces, the Federal Police, the States’ Police Forces, Prison officials, and the Local Militia have all taken ultimate measures on civilians, children, mothers, and the elderly. They have applied the most barbaric methods of execution, massacre, torture, and abuse. This morning, Ethiopians woke up to the news that the Council of Ministers of the Federal Government has passed an emergency decree that may last for the coming six months. The official text of the Decree is not yet published in the official legal communicator, the Negarit Gazetta. (As it has now become customary, it may never be published at all; the regime does what it wants to do nonetheless.) That it is so declared today is announced to journalists by the Prime Minister in Cabinet on the state television. The Prime Minister spoke in order to announce the decision to journalists as the primus inter pares, the first among equals, in the Cabinet. The reason given by the Prime Minister for issuing the declaration is that there is a breakdown of law and order that threatens the safety of citizens and the integrity of the constitutional order. To the peoples of Ethiopia, especially to those who have been under military rule for the last one year and more (without any fact that necessitates it or any law that warrants it), the decree makes no practical difference in their ‘lives’. As such, the decree has little significance, if any. The people have seen the worst face of repression. Killing, maiming, mass arrest, arbitrary detention, public torture, dispossession, eviction, dislocation (because of loss of houses and job and domicile), and much worse. They have seen burning of prisoners alive (in Qilinxo, Ambo, Gonder, Angereb, Debretabor, Zuway, etc). They have seen towns set on fire and razed down (in Konso). They have seen detainees poisoned (in Sabbataa). 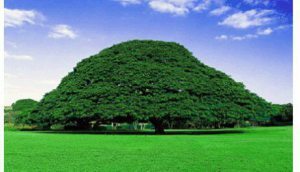 They have seen massacres on a sacred ground (Irrechaa) that was turned virtually into a killing field (Horaa Arsadii). They have seen children shot dead right in front of their moms (in Wallaggaa, in Arsi, in Harargee, and everywhere else). But while we are at it, it is important for us to ask what it means to declare a state of emergency in Ethiopia. What exactly is a state of emergency? When is it proper? Who declares emergency? What is the procedure? What is the implication for rights and for the exercise of power by the regime? Why is it declared now? What new thing is the regime planning to do under the guise of the emergency decree? In what follows, I explore these questions in the light of the Ethiopian constitution (although no law, constitution or otherwise, has ever meant anything in Ethiopia). The key provision that regulates the mode, procedure, consequences, and implications of emergency declaration is article 93 of the Constitution. What is emergency declaration? And when is it necessary? Emergency decree is a decree of extraordinary situation. It is a law of abnormal times. It is a way of creating ‘legal illegality’ in a constitutional-political order invoking necessity on the ground of actual or impending war, crisis in law order, natural disasters, or break out of epidemics. It is a regime of exception-making through which the state is authorized to do what it cannot lawfully do under normal circumstances. Through emergency laws, a state is empowered to exercise special powers justified on the ground that the exigencies of political life has become so terrible that it demands a special set of measures. One can see from the above that special measures that have to be effected through emergency decree are said to be necessary in times of war, crisis of public order, natural catastrophe, or the spread of contagious disease or plague that threatens the population. According to the announcement of the Prime Minister, the cause of the emergency declaration today is the complete breakdown of law and order which has threatened the constitutional order. 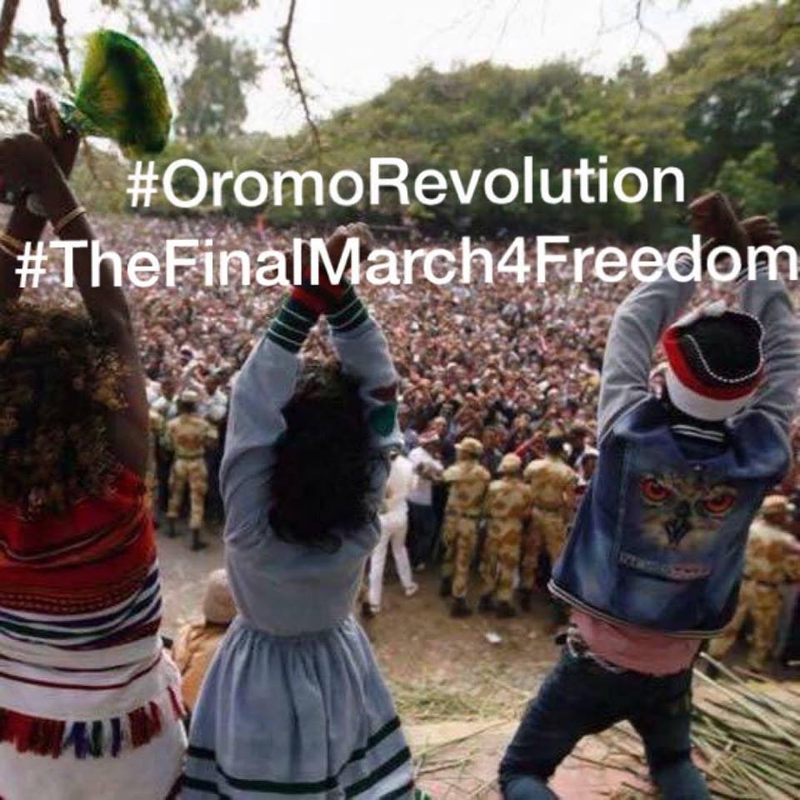 This is of course a concession on his part to the fact one can easily observe on the ground since the re-emergence of the #Oromoprotests on 12 November 2015. 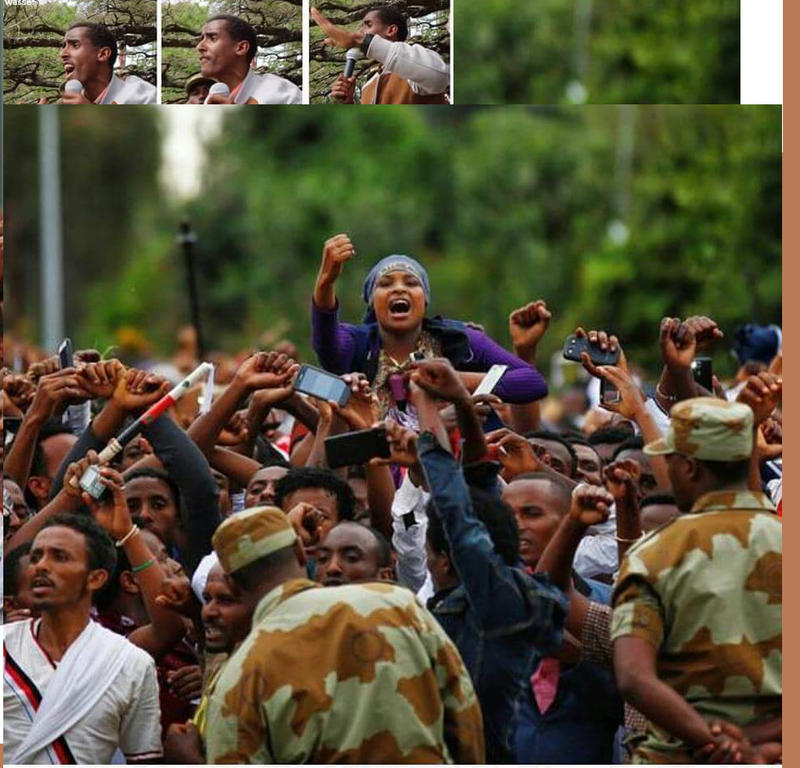 Throughout the year Oromia—where military rule is imposed–has been completely ungovernable. Konso has also been ungovernable for the last eleven months. 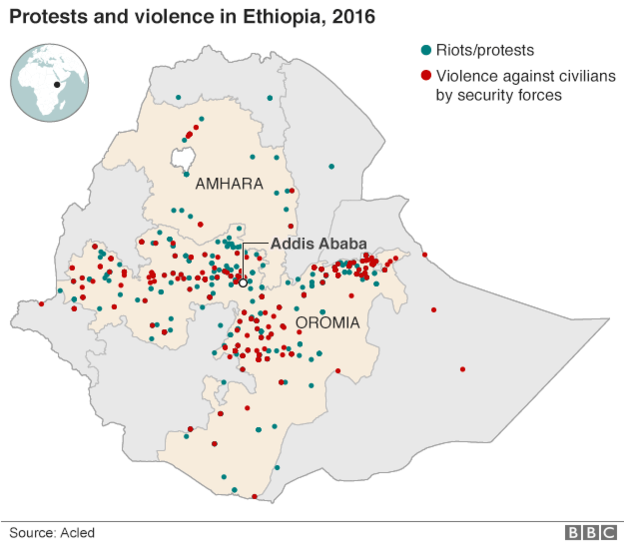 After July 2016, when the Amhara resistance broke out in Gonder, the Amhara region also became ungovernable by the regime thereby necessitating a military rule to be imposed there, too. Who issues the Declaration of Emergency? The necessity of such a decree is assessed and acted upon by the Council of Ministers (COM). But the COM is not the only institution that has a sole authority on the management of emergency situation. The power to declare emergency is shared between the Executive and the Legislature. According to art 93(2), owing to the urgency associated with emergency, the declaration may be issued unilaterally by the COM but it should be presented to the parliament within 48 hours if the parliament is in session. If the parliament refuses to approve it, the decree will be dead on arrival. If the parliament approves it by a 2/3rd majority vote, it becomes effective for up to six months from the date of declaration. If the emergency happens in the season when the parliament is not in session—like it is the case now—the decree must be submitted to the parliament within fifteen days. This may necessitate calling a special or extraordinary meeting of the parliament. Without the approval of the parliament, no emergency decree can be effective. In other words, emergency power is shared between the two institutions, the executive (COM) and the legislature (HPR). The former has the power to generate the emergency bill and the latter has the power to approve or reject the decree submitted to it by the former. b) not preventable through any other measures. Thus, the COM must demonstrate that there is a serious crisis in public order that it could not otherwise control through the activation of ordinary law-enforcement mechanisms. Once this is demonstrated, the decree is submitted to the Parliament for approval. On approval by parliament, it becomes the law of exceptional times. When it is duly approved by the parliament, the parliament establishes an Emergency Inquiry Board that supervises the humane treatment of all persons arrested in the course of enforcing the emergency (art 93(5)). The Board ensures the accountability of the executive for its measures taken during the emergency season. What does Emergency entail? What are its consequences? The declaration of emergency confers special powers on the executive. It empowers them to take measures necessary and proportional to avert the danger. Often, the executive is given latitude to suspend some constitutional rights as may be necessary to protect public peace and order. The usual candidates are rights such as freedom of assembly, demonstrations, movement, etc, which can be suspended for a limited period of time. However, these powers are not open-ended. There is a limit to what the Executive can do. In particular, its actions are circumscribed by constitutional provisions that are non-derogable. The provisions relating to the right to life, freedom from torture and all forms of cruel, degrading and inhumane treatment or punishment, equality and non-discrimination, etc are often seen as universally inviolable under any circumstance. This emanates from the principle of sanctity of human life, human dignity, and fundamental equality in worth of all human beings. In art 93 (4)(3)), these non-derogable provisions are five: art. 1 (the provision that has to do the nomenclature of the country and the system it denotes); art. 18 (the provision on the right to freedom from cruel, inhumane, and degrading punishment or treatment such as torture); art 25 (the provision on the right to equality and non-discrimination); art 39(1) (the provision on the right to self-determination including secession); and art 39(2) (the provision on the right to language, culture, and history). Curiously, the right to life (under arts 14 and 15) is not in the list of rights that cannot be suspended or limited during situations of emergency. Given the weight given to other structures such as the federal democratic republican structure and the name that denotes it; or to right of nations to self-determination; the absence of the right to life, the most fundamental of all human rights, in this list must be an oversight. Why now? What Motivated the regime to Issue this declaration? What is the point of this declaration? What new measures are to be taken other than those “merciless” measures that were being taken throughout the year? What rights are to be newly suspended and/or limited because they have been left unviolated thus far? As we all know, the regime has virtually banned all forms of demonstrations, political meetings, associations, etc for a long time. We know that there is no press freedom in the country. 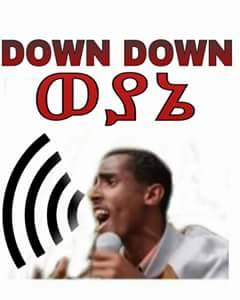 Ethiopia is one of the top four jailers of journalists in the entire world. Arbitrary killing, mass arrests, detentions, tortures, discrimination, have been a matter of routine practice throughout the 25 years tenure of the regime, only exacerbated now in the context of the open mass revolt in the last couple of years. The regime has always been confrontational with religious groups because it routinely and unscrupulously interferes with their freedom of religion. Demanding the right to self-determination as per the constitution automatically renders one a terrorist because apparently, in EPRDF’s book, the right to self-determination is already exercised by all. As a result, identity is securitized, i.e., it is handled as a matter of threat to national security. The right to one’s distinct language—e.g. the right to a choice of script—is routinely violated, a striking example being the regime’s denial of the right of the Erob people of Tigray Region to adopt a Latin script for their language. In its total lawlessness, the regime had left no right unviolated be it bluntly or systematically. It is because of this that in terms of what rights it limits or what new power it confers on the executive, this declaration is inconsequential. There is nothing it changes on the ground. The resistance was happening while a full military rule organized by a Command Post chaired by the Commander-in-Chief himself was already in place. In the name of taking a “merciless and definitive” measure on protestors, the army and its Agazi Regiment, the Regional Special Forces, the Federal Police, the States’ Police Forces, Prison officials, and the Local Militia have all taken ultimate measures on civilians, children, mothers, and the elderly. They have applied the most barbaric methods of execution, massacre, torture, and abuse. Surely novelty will elude them in this regard. They have practised abuses that the world’s ghastliest torture centres and killing fields have witnessed in history. The only question that remains now is why the regime issues this declaration now? What do they want to achieve? There are two possibilities: 1) to give a retrospective legal cover to atrocities they have been perpetrating so far and to exculpate the more extensive barbaric measures they are preparing to take in a last vindictive act just before they vacate power; and 2) to terrorize the public into temporary silence during which time they will dismantle major infrastructural facilities and move to the home base of the TPLF core of the regime. These possibilities are mere speculations, of course, but these are speculations that are hardly without reasons rooted in the conduct, words, and attitudes of the key figures in the regime.